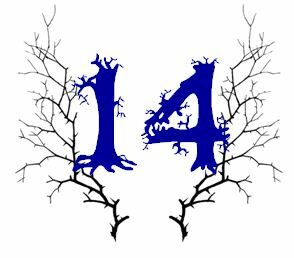 The fourteenth window on the Ghostly Advent calendar is reserved for a pair of very special ghostly treats. Marianne Dreams by Catherine Storr is a weird, beautiful children’s fantasy novel first published in 1958, that I read as a small gentlewoman – I still have my original Puffin copy with an advert for the Puffin Club in the back pages. Marianne is bedridden after a fall from her horse and to fill her time she draws with The Pencil and dreams of the landscapes in her pictures. She’s a great character – impetuous, slightly sulky and possessed of a strong sense of melodrama. Much later, the book inspired Bernard Rose’s ‘Paperhouse’, his first full-length film before the incredible ‘Candyman’. It takes the theme of ‘Marianne Dreams’ – of losing oneself in one’s own world, of an external darkness creeping into your own creation – and gives it a dizzying, surreal, visual intensity. In the film, Marianne is now Anna, a troubled girl from a family with very unghostly problems, including a father whose distance is never really explained. Bored at school, Anna draws a picture of a house with a fence around it – after being sent out of the classroom, she feels dizzy and faints, then wakes in the desolate world of her picture. Gradually, Anna adds more to her picture – as in the novel, she draws a small boy at the window of the house, who becomes real in her dreams. And then she learns that the boy she’s drawn is linked to another patient of her doctor’s, a boy called Marc (plain old Mark in the novel) who cannot walk – there’s a terribly haunting scene where Anna tries to draw legs for him, and realises that she can’t give Marc what he really wants. Marc believes that he’s in the dream world because he’s done something wrong and ‘they left me here’. The most terrifying scene in the film is where Anna draws her father in the picture so he can carry Marc out and bring him into the real world. She draws him with an angry expression, then realises the effect this has on Marc and scribbles out her father’s face. Now in her dream world, her father has become a nightmare figure with ravaged eyes, chasing the children with a hammer and bringing fire and lava to their world. Critics of the film have been annoyed by the deviations from the book and the loss of some of the story’s subtleties. It’s a beautiful retelling, however, made with care and imagination. I’d recommend watching the film first, then reading the book, as the sweetness of Storr’s writing (and the somewhat happier ending) will temper the darkness of Rose’s vision. A bit like having brandy butter on your rich Christmas pudding; the best way to consume these treats is together. What a Jolly busy Ghostly time you are having! I can’t keep up, will have to read more when holidays begin…! But this caught my eye – I was haunted by this book, also have original Puffin, and am astonished that there was a TV adaptation, let alone film that I didn’t know about, but that sounds too scary…thanks for all the treats to look forward to! I’m saving the TV series until Christmas – too many ghostly indulgences at the moment! Looks great, though.